When the Kid Matt and Kid Adam were in middle school and early high school, they had denim jackets that Lila would decorate with patches we had picked up from our travels and from Scouts. The ones on the left are mostly Scout patches; the ones on the right include a lot we got from our Great Family Vacation Out West in 1990. When the kids outgrew their jackets, their mother would painstakingly take off the old patches and either move them to a new jacket or replace them with newer souvenirs. When I was on the road, I’d look for custom T-shirts. If there was any kind of big event going on, some entrepreneur would come up with a design, run off a couple hundred shirts and skip town before anybody came around checking if he had a license. I saw a T-Shirt guy get rousted by a couple of cops in Key West during the Boatlift. After a few minutes of conversation, the cops walked off with shirts and the guys were given two days to get out of town (by that time their stock would be gone). They were usually cheap – $3 or $4 apiece – they were easy to pack, and they were unlikely to be worn by any other kid in their classes. In that category: Cuban Boatlift; the Whigham, Georgia, Rattlesnake Roundup; Wheeler’s Bar’s Million-Dollar Log; the Pope’s visit to Miami; all kinds of hurricane commemorative shirts; Don’t Mess with Texas, and one from Two Egg, FL. I have two large plastic containers of shirts in the top of the closet just waiting for a quilt or something to spring from them. 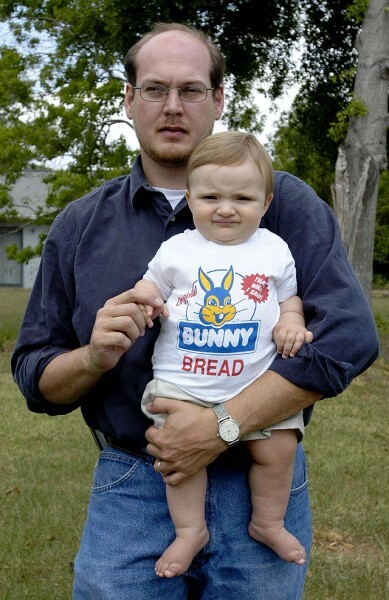 That’s Grandson Malcolm in a Bunny Bread T-shirt picked up in Cape at the Used Bread Store. He’s a lot cuter nowadays. 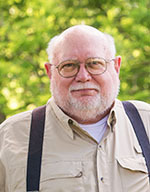 His father, Matt, is, well, older. 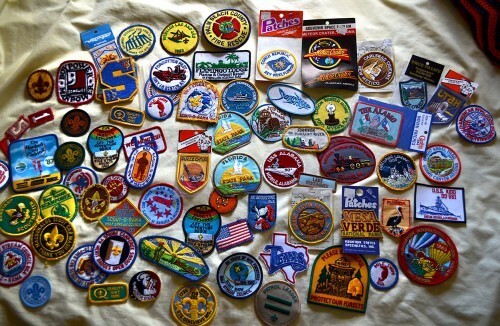 I loved collecting patches, hats and T-shirts when I traveled also. I wore bib overalls when I worked on the production line at P&G during parts of my 24 years there. The overalls were like a personal billboard for patches. I looked at him in total shock and said “that’s a palm tree, I bought that in Florida on vacation”. He just laughed and two more people walked over to see what we were talking about and they confirmed his plant identification was correct. My face turned beet red…I didn’t have a clue that my “palm tree” was a pot plant. I took out my trusty Tuf Nut pocket knife…it came with my overhalls from Buckner Ragsdale basement store. I cut the threads that I had so carefully sewed that pretty little “palm tree” on with. As you can imagen that incident spread like wildfire and by the time I went to lunch half the P&G shift knew how clueless I was about pot plants. Lois is born story teller…I have ridden motorcycles for most of my life, still do, and one of the “Biker” things you do is to get a Black leather vest. The leather vest is handy and for wearing and keeping the cool off and to layer the body to keep your body at the perfect temp throughout the day. But that was not the REAL reason for wearing a vest. The real real is have place to sew of patches and pins for places you have been, things your did or things you saw. Your Vest, patches and pins were a great conversation stater at any stop. “I say, were you at West Palm Beach in 2014?, I see you have a patch from Jacqieoke in 2014”. I need to get my vest out and look at it to see what is on it and what experiences are remembered on it. 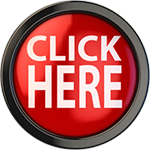 Thanks for today’s thought provoking and action enabling essay. Lila could almost make a quilt out of all those patches. That was my suggestion, but she’s talking about doing a wall hanging and framing them.